Heat the wok/pan with some oil, stir in the minced shallot and cook until it's fragrant. Add in lemon grass, curry leaves and curry powder, stir for about 2 minutes. Add in potato dices, carrot and tomato, stir and cook for another 5 minutes or until potato sightly tender. Slowly add some water for better cooking. Stir in coconut milk and cook for another minute or two. Melt the margarine, salt in the hot water. Mix well and knead to form a smooth dough. Let it rest for 15 minutes. If it is too dry to handle, rub your hands with some water to work on it. Divide the dough to 8 portion. Rub margarine into flour until they mixed well, divide to 8 portion. Flatten it to a 4" X 6" piece sheet using the rolling pin. Repeat the step #2 and # 3. Cut the roll into 6 piece portions. With the cutting edge facing down on your work surface, roll it to a "2.5~3" circle skin. Place the skin on the mold, fill up with the curry filling, fold the mold and trim the extra skin. Remember to keep the sealing edge clean and oil free, or your curry puff will "pecah"/breaks when we fry it. Fry the curry puffs until it's golden brown. tin tin...i'm so happy it turned out great for you!!! i could imagine the crispy skin when I see it so "swirl"....LOL!!! These are absolutely stunning! wow. 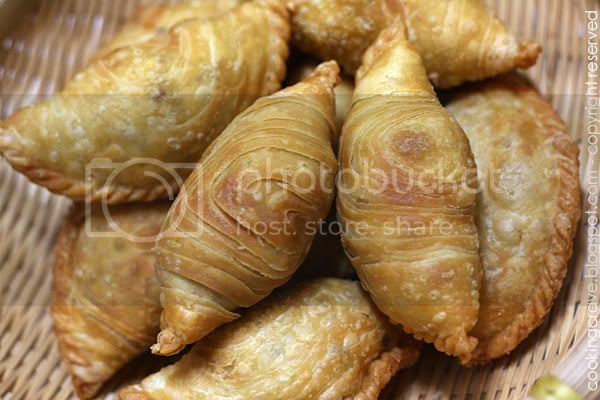 These swirly curry puffs are gorgeous! 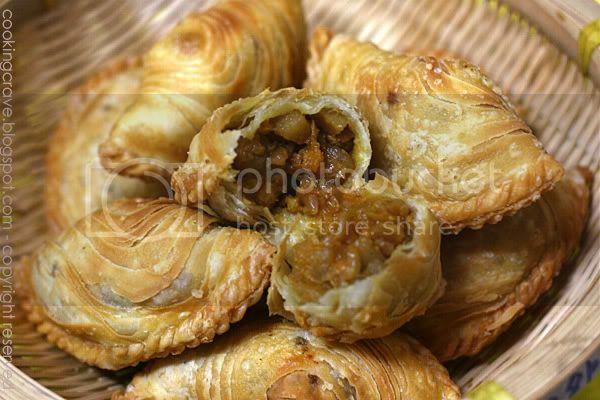 Me and my kids love curry puffs especially A1 curry puffs. 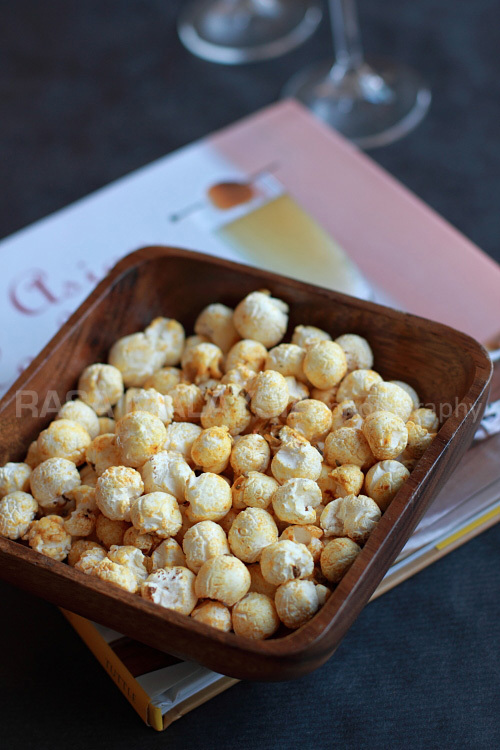 Will try your recipe soon , yours looks so inviting and so professional and so yummy that I want to grab one right out from my screen... LOL... thanks for sharing your wonderful recipe. Best curry puffs I have seen! And dare I say, they look better than the original (sorry to Wendy!). I love all your recipes - just awesome.